The five weight division, the unbeaten champion has carved a very impressive 49-0 record since turning professional in Oct 11, 1996. Over the years he has faced opponents such as Jesús Chávez, Zab Judah, Oscar De La Hoya, Ricky Hatton, Miguel Cotto and the legendary Manny Pacquiao. Mayweather has had his last 12 fights at the MGM Grand Garden Arena, Paradise, Nevada, U.S. During that period Mayweather has only managed to stop two fighters, Victor Ortiz and Ricky Hatton, the others have all gone the distance. This fact has led people to question if Mayweather has what it takes to handle a very aggressive and determined twenty-eight-year-old, Conor McGregor, a man who has risen to super stardom inside the Octagon. Mayweather has, however, one of the best and most impressive defensive set of skills known to man. His counter punching technique has picked fighters off for fun and will no doubt play an important part in his game plan for McGregor. Conor McGregor has made no attempt to hide from any fighter who has dared to stand in his way, in fact, many fighters have declined to face the Irishman. His explosive power and arrogance have taken fighters apart, most notably his devastating thirteen-second knock out of José Aldo. Although McGregor has dominated the sport it hasn’t come without setbacks. Early in his career, he was beaten by Artemij Sitenkov and Joseph Duffy. His next and most famous defeat came at the hands of Nate Diaz, a fighter who faced McGregor with just thirteen days’ notice. McGregor avenged that defeat in their rematch, however, many fans considered the fight rigged in McGregor’s favour. 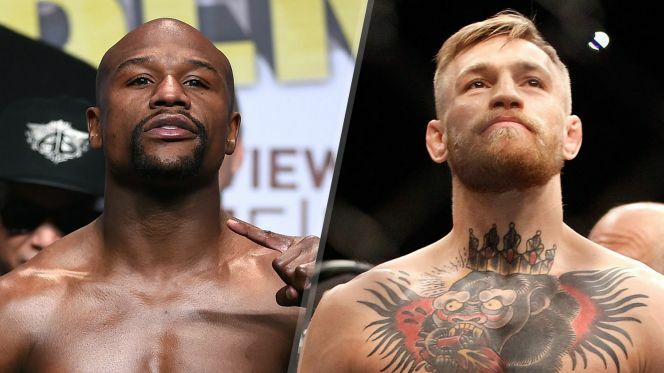 Now McGregor has put himself to what is considered to be an almost impossible task having never had a professional boxing match, to now face the formidable Mayweather. Many fight fans are laughing this fight off as a comedy show, which when you consider a total novice fighting an undefeated champion you can’t blame them. Yet, the interest in the Mayweather vs McGregor betting odds clearly shows that McGregor is no mug and does pack a punch and in boxing, if you have a punchers chance, anything can happen. It’s a different matter whether or no McGregor can actually land his punch, but if he does then who knows, maybe McGregor can do what nobody has ever managed to do before and stop the champion. August the 26th is a date all fight fans are looking forward to. Will Mr. Money finally be stopped or will Notorious be facing his fourth defeat of his fighting career? Time will tell but make sure to subscribe to the PPV channels and one thing is guaranteed, if both fighters live up to the hype the fight will be explosive!